Michelle Young recently lived up to the phrase "in sickness and in health" in a big way after she donated one of her kidneys to her husband. It's not uncommon to mark big-number anniversaries with big-time gestures or gifts. 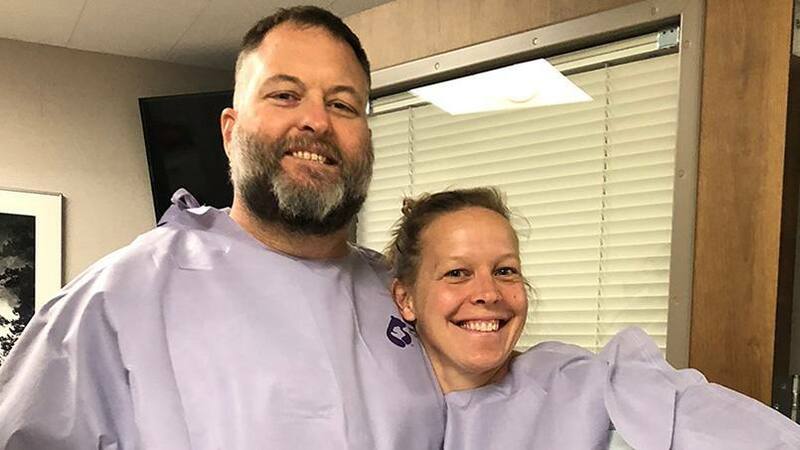 Michelle Young went with both for her upcoming 20th wedding anniversary when she gave her husband something big on his wish list: a kidney. Michelle's husband, Will Young, knew his need for a kidney transplant was almost a certainty after he was diagnosed with polycystic kidney disease, which took the life of his mother, according to a recent KAAL-TV report. "She went through two kidney transplants at the University of Charleston," Will tells the station. "The first one lasted 15 years. The second one wasn't so good." It's a fate Will had been working hard to avoid. "Even after I realized I had PKD, I thought I could stave it off," he tells the station. "So for the past seven or eight years, I've been really trying to keep my creatinine down, but at some point, there's not much you can do about it." Read the rest of the story.